AUTOCHECK CERTIFIED, CLEAN LOCAL TRADE-IN. 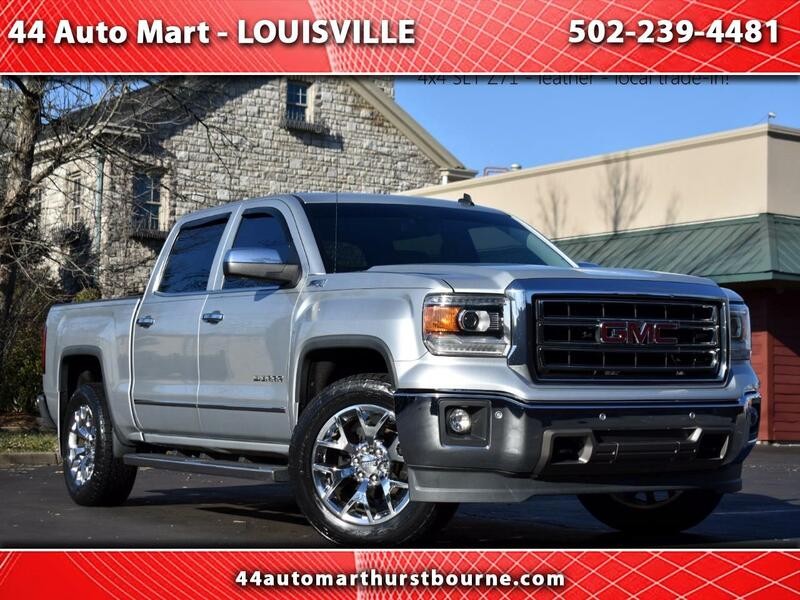 TOP OF THE LINE GMC CREW CAB 4X4 Z71 LOADED WITH HEATED AND COOLED LEATHER INTERIOR, BUCKET SEATS, POWER ADJUSTABLE PEDALS, KEYLESS ENTRY WITH REMOTE START, BED COVER, AND LOTS LOTS MORE. DON'T LET THE MILES FOOL YOU ON THIS ONE, IT LOOKS, RUNS, AND DRIVES LIKE NEW. INCLUDED ARE ALL OF THE ORIGINAL BOOKS AND MANUALS.